Devta (meaning Demi-god in Hinduism) is a serialized fantasy story written in the Urdu language by Mohiuddin Nawab. It was published monthly for 33 years in the Pakistani magazine Suspense Digest, which is available in Pakistan, India and various parts of world where Urdu is spoken. 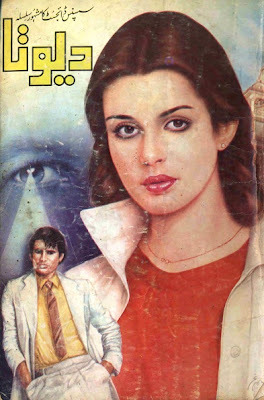 Devta is the fictional autobiography of Farhad Ali Taimoor, a man who gained amazing telepathicpowers. Records: Devta has 11,206,310 words as compared to 2,070,000 words of Les Hommes de bonne volonté (Men of Good Will) by Louis Henri Jean Farigoule alias Jules Romains, of France. Devta has 49 volumes published and volume No(s). 50 through 53 under print as compared to 40 volumes of novel Tokugawa Ieyasu by Sohachi Yamaoka. Devta has 22,412,620 characters as compared to 9,609,000 characters of A la Recherche du Temps Perdu (Remembrance of Things Past) by Marcel Proust. Here is the Links for Part 1 - Part 50 of Novel. Free E Library. Powered by Blogger.